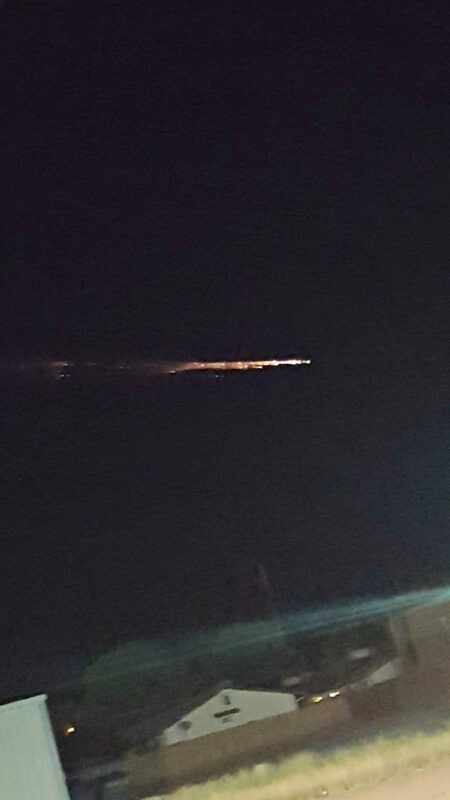 Skywatchers ask ‘What is that?’ Meteor, rocket or what? 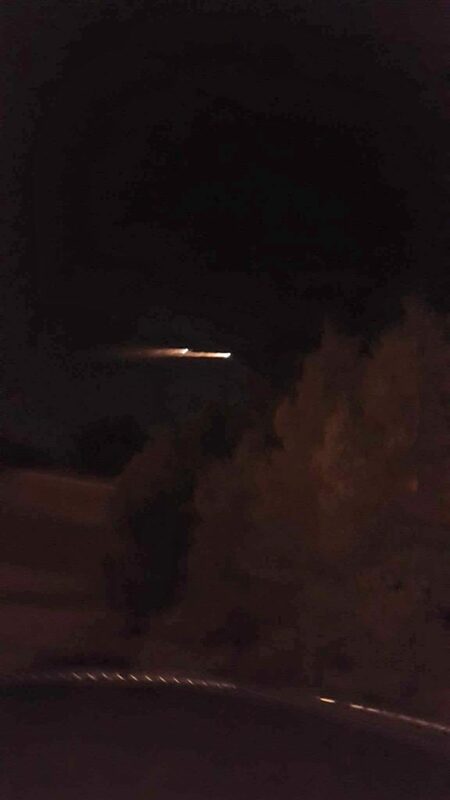 UPDATE: The National Weather Service in Salt Lake confirmed via Twitter that the lights were “space junk” from the Chinese rocket scheduled for re-entry at approximately the same time as lights were seen, according to a Satview.org forecast. 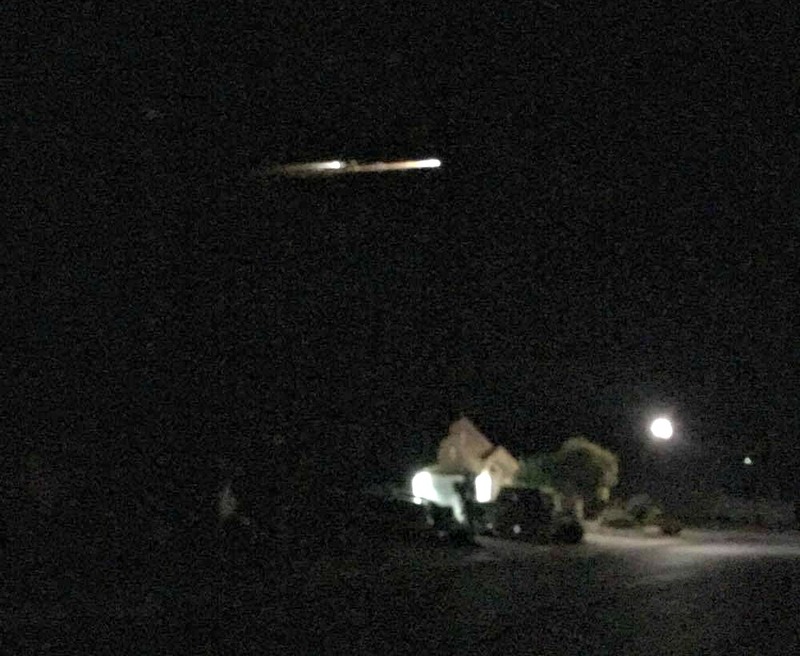 ST. GEORGE — Skygazers in Southern Utah and beyond were thrilled to see the night sky light up with several fast-moving meteors and a dazzling display from what was possibly the re-entry of a Chinese rocket breaking up as it entered the atmosphere Wednesday evening. “We just saw wha (sic) looked like a astroid, HUGE light in th (sic) sky flaming down sideways like the hugest shooting star ever. Anyon (sic) else see that????!!!! !,” Jonionioni Wilson posted on St. George News Facebook page. 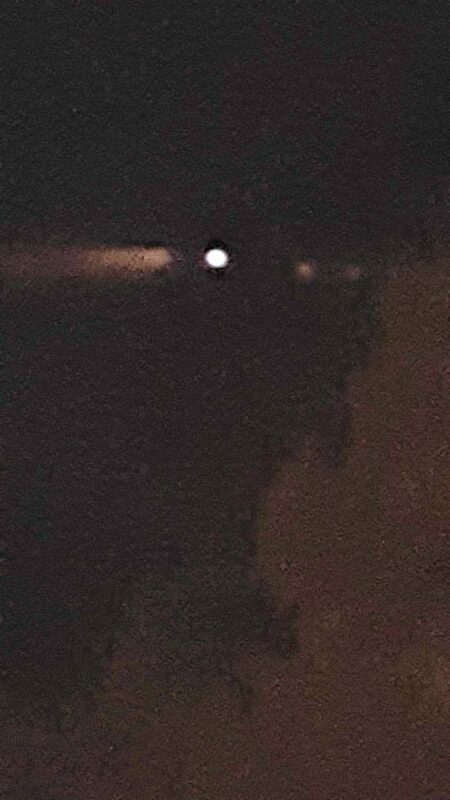 “Just seen this crazy orange looking comet fly past my house!! Anyone see it?” Kayla Smith said. “I saw these meteorites or some kind of falling debris when I was at Wendy’s on Sunset Blvd.,” Marc Holt wrote with his photo of a bright, orange-tailed flash of light streaking across the sky. “Did anyone see the sky light up in the north then go northeast?? ?” Kristi Hetrick posted. There were “weird lights shooting across the sky,” Shannon Barlow Tracy wrote with her photo submission. “Something strange flying across the Mesquite skies just a bit ago,” St. George News reader Jonathan Martin Tomas wrote with his video submission. 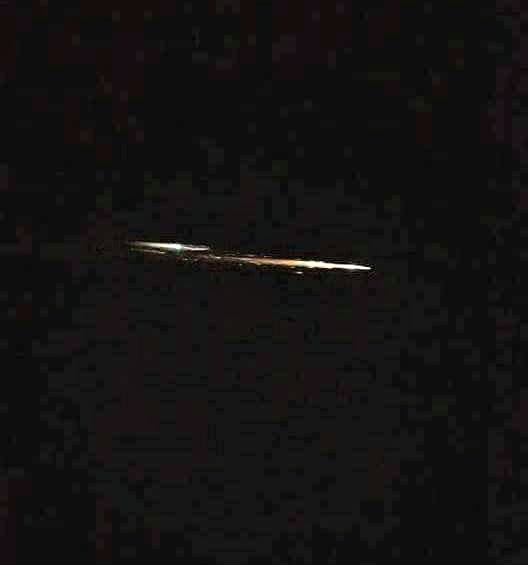 Lights similar in color and tail length to what St. George News readers reported were also reported by folks living in Southern California and Nevada. Photos and videos poured into local television stations there and social media outlets, according to NBC Los Angeles. See St. George News composite video top of this report and photo gallery below. Meteor, asteroid, rocket or what? Many thought they saw meteors and they might be right. Through late July and early August meteor showers are going to provide night owls with some awesome light shows, according to Sky and Telescope. The Delta Aquarids are peaking through Friday night and give good reason to stay up late. More night sky events will emerge over the coming weeks. Or perhaps what people were seeing wasn’t a meteor at all? It may have been a Chinese rocket making its way back to earth. The brightly colored balls of light streaking across the sky certainly looked to many like more than bits of meteor burning up through the atmosphere. A rocket, launched by China June 25, was a Long March 7 (CZ-7) 174-foot-tall rocket. 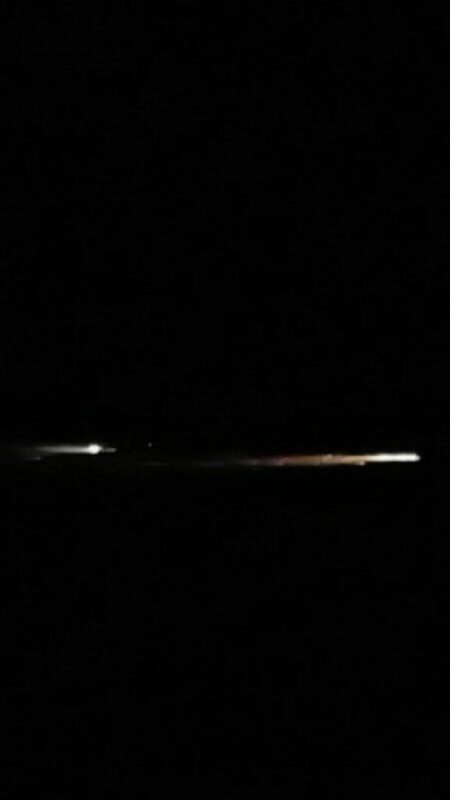 It carried a scaled-down version of a new Chinese re-entry capsule for human spaceflight and was scheduled for re-entry about the same time everyone saw the brightly lit object streak across the sky Wednesday. For those who enjoy plotting these things out, The Aerospace Corporation provides maps online showing the rocket’s predicted re-entry path. The last meteor shower of note occurred in early May when the Eta Aquarids sprinkled a modest few meteors across the dawn sky. The Delta Aquarids typically fire off 15 to 20 meteors per hour before dawn begins, according to Sky and Telescope. If you feel like you missed the sky party, there is more coming of what Sky and Telescope describes as an atmospheric disco light show. The Delta Aquarids will keep putting out meteors a week or more before and after the expected high point of the show. If the weather doesn’t cooperate one night, you can look the next. Or the next. Dumpster sees this kind of stuff all day long.